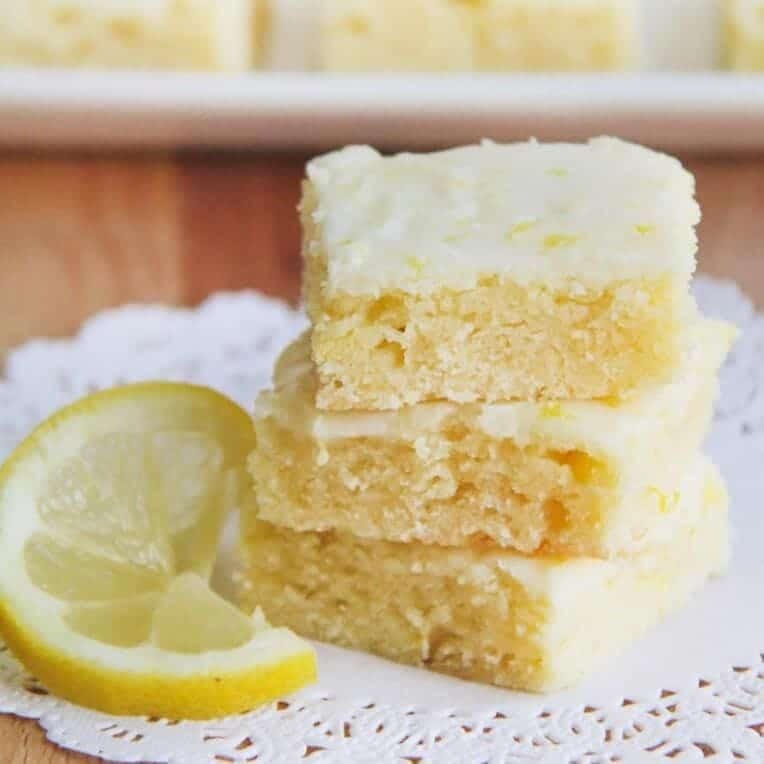 Lemon brownies AKA lemon blondies – Super soft and moist bars topped with the most delicious lemon glaze. 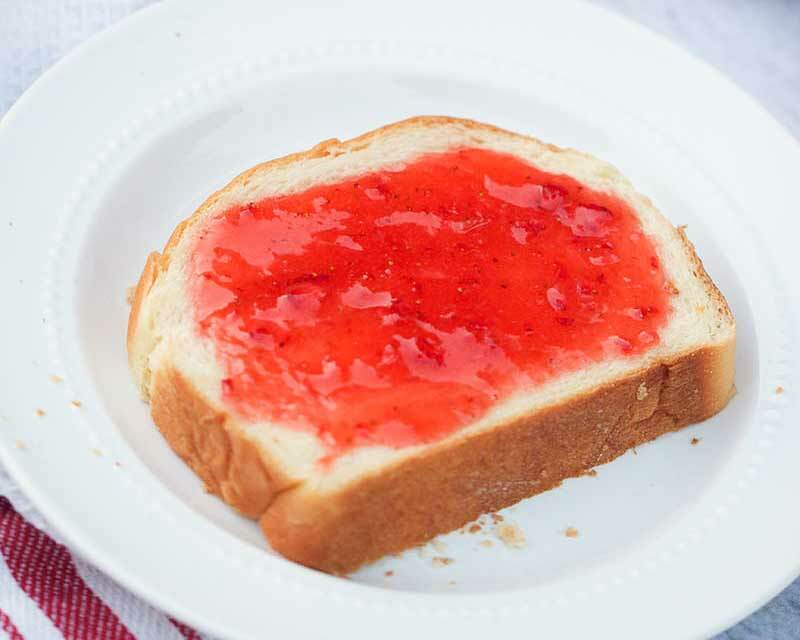 The perfect summer dessert that you’ll be making over and over again! By The Baker Upstairs for I Heart Naptime. I have been loving ALL things lemon lately. There’s something about lemon desserts in the Summer that are so refreshing and delicious. And these lemon brownies did not disappoint! 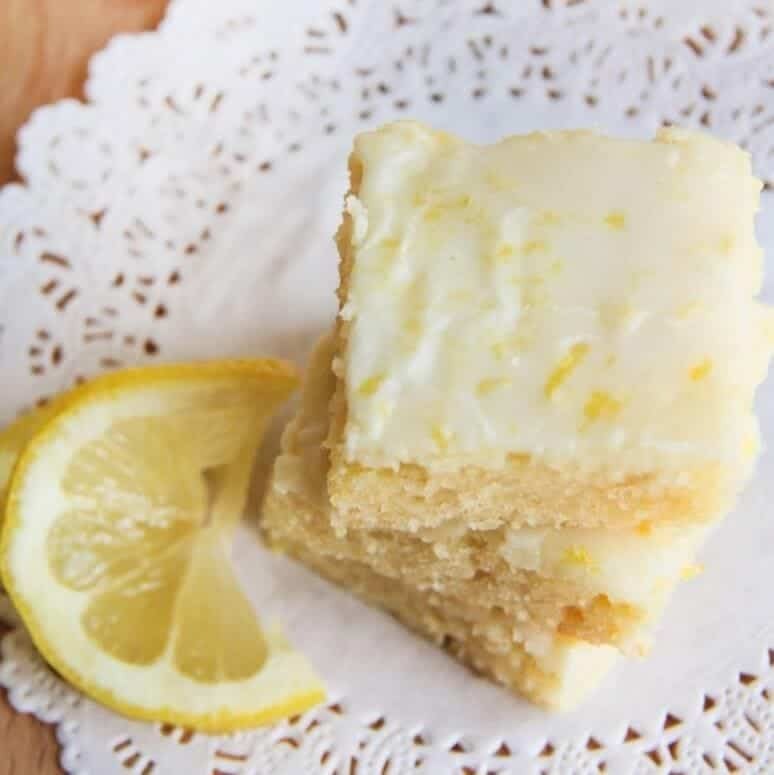 The lemon blondies are moist and buttery, almost like sugar cookies, with just a hint of lemon. The lemon glaze on top is tart and sweet, and makes a perfect complement to the brownies without being overpowering. I love how light they taste as well… they’re the perfect lemon dessert for Summer! These lemon brownies are simple to make and come together in 30 minutes. 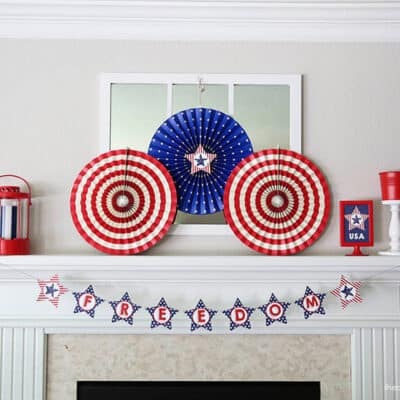 Just follow the steps below to get started. 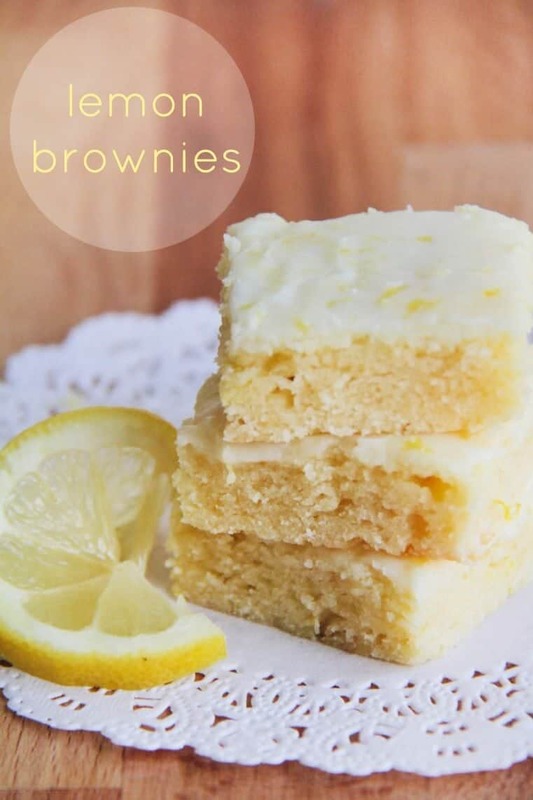 Scroll down for the printable lemon brownie recipe and video tutorial that gives a step by step on how to make brownies. Preheat the oven to 350. Prepare an 8 x 8 pan by spraying with cooking spray or lining with foil, and set aside. In a large bowl or the bowl of a stand mixer, beat together the butter, sugar, and lemon zest until light and fluffy. Add the eggs one at a time, mixing well after each addition, then add the lemon juice. Add the flour and baking powder, and mix until just combined. Pour the batter into the prepared pan and smooth into an even layer. Bake 20-25 minutes, or until a toothpick inserted into the brownies comes out clean. Let lemon brownies cool for 10-15 minutes. 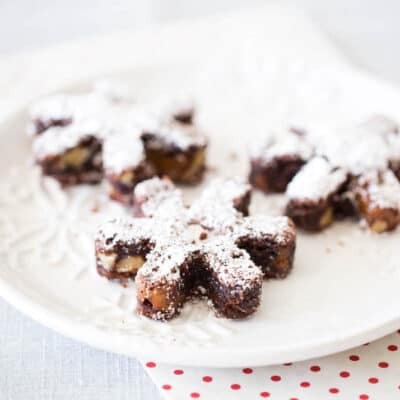 To make the glaze, whisk together the powdered sugar, lemon juice, and lemon zest, then pour over the brownies, spreading evenly to coat. Let lemon blondies cool completely before slicing and serving. If using unsalted butter to make lemon brownies, make sure to add a pinch of salt to the batter. 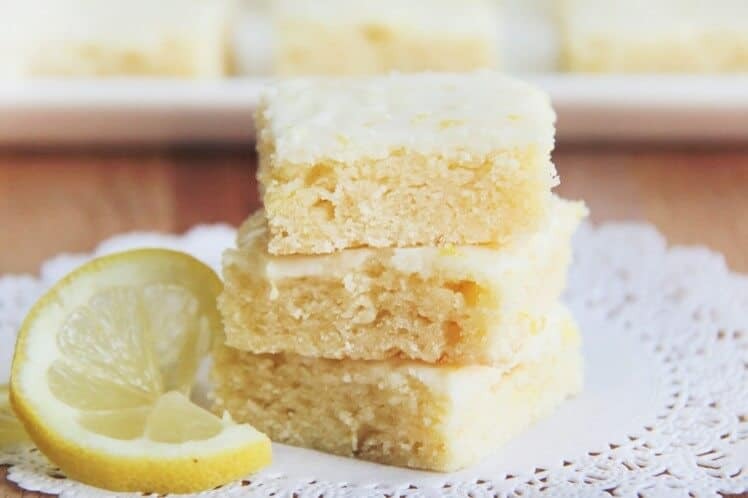 You can easily freeze these lemon blondies if desired. Just wrap in plastic wrap and then again with foil. To thaw, set out at room temperature. Make sure to let lemon blondies cool completely before slicing and serving. The brownies need time to set before eating. 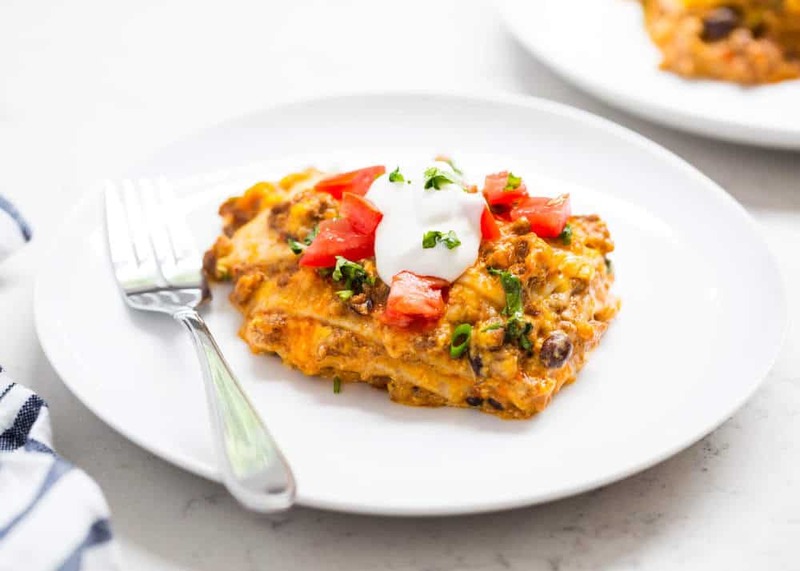 Serve with a scoop of vanilla ice cream or a dollop of whipped cream. If you want to really stick with the lemon theme, you can even try my homemade lemonade ice cream. Want to spice up the lemon brownie recipe a tad? Try adding shredded coconut, blueberries or even white chocolate chips to the batter. 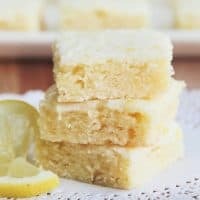 Lemon brownies AKA lemon blondies - Super soft and moist bars topped with the most delicious lemon glaze. 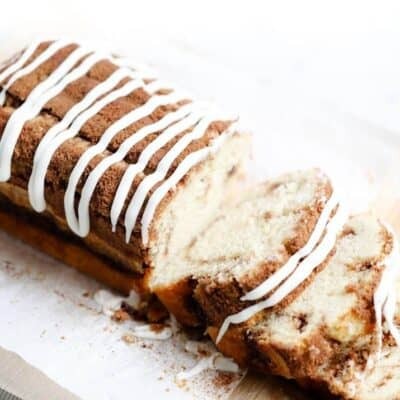 The perfect summer dessert that you'll be making over and over again! Note: If using unsalted butter, make sure to add a pinch of salt to the batter. Recipe adapted from Sweet Pea’s Kitchen. Enjoy! Everybody loved this. I always add a couple of extra lemons to increase the zingyness. 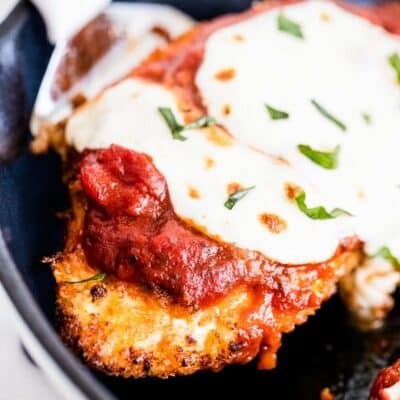 It’s so easy and tastes yummmm. Thank you so much.